Of all the tactics used by Imperial forces throughout the Star Wars saga, we’ve never seen one quite so insidious as what is utilized in “Vision of Hope,” the latest episode of Star Wars Rebels. Consequently, the plight of our heroes has never seemed grimmer as they find themselves even more isolated than they had assumed. And yet, hope remains even in the face of crushing disappointment and betrayal. It’s a testament to the strength of the Rebel cause and of those who would give everything to see the cause succeed. As Rebels continues to cast Ezra Bridger in the role of Luke Skywalker, “Vision of Hope” opens on a lightsaber training sequence that immediately calls to mind a similar exercise from A New Hope. Shrouded in his Imperial Academy helmet, Ezra is learning to not only repel numerous blaster bolts fired by his shipmates, but he is also tasked with deflecting the bolts into a Stormtrooper helmet Kanan has designated as the target. Ezra’s focus is not at the level his Master wants as he is distracted by an imminent transmission by Senator-in-exile Gall Trayvis, but a Force-fueled vision of the future soon supersedes any concerns over the Padawan’s lightsaber prowess. As a flood of images races through Ezra’s mind, the boy experiences a very different side of the Force as he is gifted with vivid prescience. At the same time, the omnipresent energy field that partially obeys his commands now controls his actions and causes him to successfully pass the deflection test. While in a sort of trance, Ezra sees a vision of he and his friends rescuing Trayvis from Imperial forces and hears the senator proclaim the bravery of the boy’s parents. Not surprisingly, Ezra concludes that Trayvis might be a source of information on his parents’ fate and that the rescue attempt of the senator will need to be carried out in the very near future. But despite Ezra’s insistence about the validity of his vision, the rest of the crew of the Ghost is hesitant to put too much stock in what Ezra has seen. Kanan is especially reticent as he knows from experience that visions of the future can be difficult to interpret. And as we have seen from Luke’s response to his visions in The Empire Strikes Back and Anakin’s response to his in Attack of the Clones, acting on the information gleaned from Force-enabled glimpses into the future can result in unintended and tragic consequences. Nevertheless, Ezra is able to pursue a meeting with Trayvis after Hera plays back the latest transmission by the senator-in-exile that includes a hidden invitation for a rendezvous with the Lothalian rebels. According to Hera, her contact Fulcrum has told her that Trayvis’ protocol for meeting with rebel groups is always tied to his transmissions. This particular message is readily decoded by the crew of the Ghost and they soon head to the Old Republic Senate Building on Lothal for the meeting. But before he joins his friends, Ezra makes a quick detour to the Imperial Academy to check in with his friend Zare Leonis. 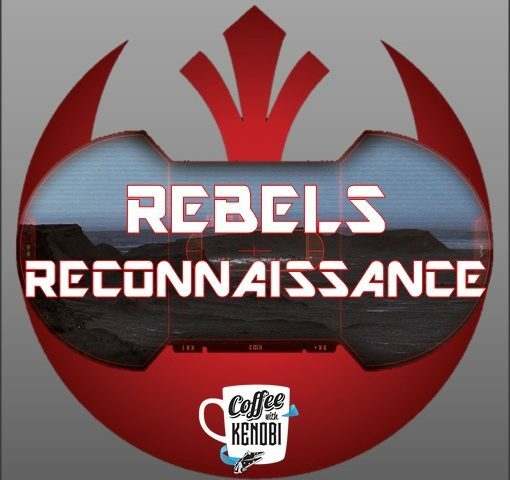 A welcome reminder of the excellent “Breaking Ranks” episode, Leonis reveals to Ezra that the Imperials are also aware of Trayvis’ itinerary and that Agent Kallus is setting a trap for the rebels. But the friends’ reunion is soon cut short as part of Ezra’s vision comes true and Imperial Stormtroopers interrupt the conversation to pursue Ezra into a nearby alley. Fortunately for the young Padawan, the same connection to the Force that allowed him to see a glimpse into his future also allows him to narrowly escape by scaling a sheer wall. Finally at the Senate building, Ezra leads his friends through the underground sewers and then he, Kanan and Hera make their way into a room where Trayvis is waiting. Zeb and Sabine take an alternate route in order to scout out the location and provide back-up as needed. This strategy immediately pays off as the Lasat and the Mandalorian are immediately called upon since Agent Kallus, Minister Maketh Tua, and several Stormtroopers are waiting for them. After a brief but thrilling battle (punctuated by a smoke bomb diversion courtesy of Sabine and Zeb and the first public usage of Ezra’s lightsaber), Trayvis is escorted by our heroes back into the sewers to make their way out. Once there, Hera and Ezra take Trayvis with them while Sabine, Zeb, and Kanan take an alternate route in hopes of doubling their chances to escape. It is in this sewer that true allegiances are uncovered, and since symbolism in Star Wars is rarely coincidental, one must wonder if Gall Trayvis’ unveiling as an agent of the Empire who betrays the trust of rebels and “rats them out” to Imperial forces is designed to evoke that vermin-infested phrase. And as the word “gall” can mean bitterness, as well as boldness, the senator’s name takes on new connotations. In any case, “Vision of Hope” employs a great deal of foreshadowing before the Trayvis reveal as the senator expresses little sense of urgency in escaping from Kallus and his men and even suggests surrendering at one point. As viewers then, it is with relief that we watch Hera Syndulla channel John McClane in the original Die Hard and hand Trayvis an uncharged blaster as a way of baiting the traitor into revealing himself. And it is with great satisfaction that we witness the Twi’lek pilot lay out the traitorous senator with her second impressive punch in as many episodes. With Trayvis incapacitated and Kallus closing in, Kanan uses the Force to stop a large fan and enables the rebels to make their way out of the tunnel. Their final glimpse of the senator seems to exhibit a touch of regret on his face, but the damage is done with his only redeeming contribution being a testimonial of the bravery of Ezra’s parents. Trayvis may have thought them foolish for rebelling against the Empire and putting themselves in harm’s way, but the so-called “Bridger transmissions” have left a powerful legacy of hope for Ezra and his compatriots. Despite of what could have been a devastating setback, Ezra, Kanan, Hera and the rest still cling to that hope. Ezra’s emotions may have clouded his judgment in regards to his visions, but the boy is encouraged by Kanan’s assertion that all visions are difficult to interpret. And Hera’s optimism remains undaunted. Things will get better because the rebels believe they’ll get better. And that belief will continue to inspire them to fight for what they know is right. I enjoyed this episode. I thought the twist was a bit obvious. Force visions are problematic for me. The Jedi like to say, “trust in the force,” but the visions the Force grants always seem to cause nothing but trouble.